Israel may be a relatively small country, but it’s definitely rich in culture and history. For the whole month of June, Israel will open its doors to visitors in a series of festivals and activities aimed towards introducing the diversity of the country and its people to the world. The lineup of events includes everything from light, art, dance, and music festivals to athletic competitions, book fairs and more. Take part in a captivating, one-of-a-kind musical experience with the Israel Festival. Witness world-class performances by local and international artists at the Jerusalem Theater, Israel Museum, Sultan’s Pool, Zion Square, and Eden-Tamir Music Center, with genres ranging from indie rock to classical music. Organized by the Design Center of Jerusalem to showcase the works of notable designers in Israel and abroad, this seven-day exhibition will also include workshops, conceptual installations, and concerts. Find gems released by about 250 publishers at the International Book Fair at The First Station. You may bring the entire family along, as there will be storytelling for children, on top of the book signing and poetry reading sessions. 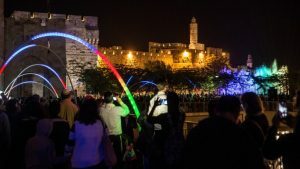 Walk along magnificent, illuminated trails at Jerusalem’s Old City at the Ninth International Festival of Light. The festival lets you immerse yourself in innovative installations, video projections, engaging performance pieces and artwork for free. 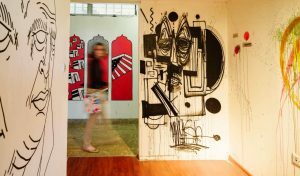 As the city’s biggest, most awaited cultural event, Tel Aviv White Night (Laila Lavan) offers a night of concerts, special exhibitions, and tours in a series of approximately 100 performances. The event starts at 7:30 PM and will run until daybreak in various venues across the White City. The tradition began in 2003, to commemorate the declaration of Tel Aviv’s Bauhaus-style buildings a World Heritage Site by UNESCO. The Maccabiah, (“the Jewish Olympics”), the largest Jewish athletic competition, takes place in Israel every four years. Organizers and participants will go all out for the 20th Maccabiah, as the country expects 10,000 athletes and 22,000 spectators from more than 80 countries. This Jerusalem Cinematheque-hosted 10-day film festival has been around since 1984. This year, film enthusiasts have up to 200 movie options from 45 countries. Israel greets summer with a chockful of events and festivities that will engage, captivate, and enrich the minds of locals and tourists of all ages and interests. Apart from a wide range of exciting activities, Israel also offers beautiful destinations to explore, such as Haifa, Jerusalem, Tel Aviv, and the Dead Sea. If you are looking to experience Israel this summer, you will be glad to know that the country does not require visas from Philippine passport holders. Traveling to Israel is also easier than ever, with the introduction of direct flights from Manila to Tel Aviv. For tours and travel packages, let Israel Chamber of Commerce of the Philippines member agencies guide you.